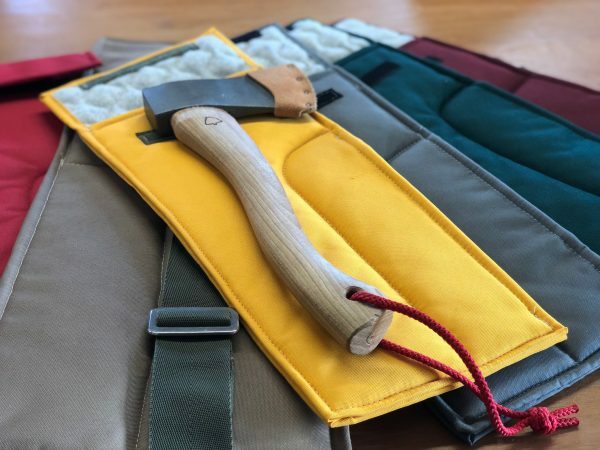 We use some of the best materials available for our Tree Tent structures – Marine grade, waterproof fabrics that stand the test of time, outside in the woods all year round… As such we just can’t bring ourselves to waste the off-cuts from making our Tree Tent covers. 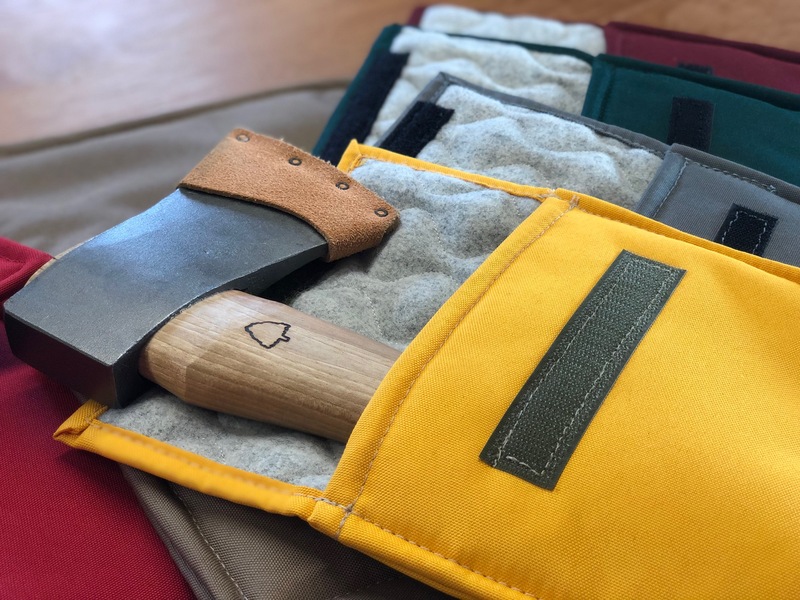 Instead we make these amazing, functional and ‘tough as old boots’ Axe Bags from them. 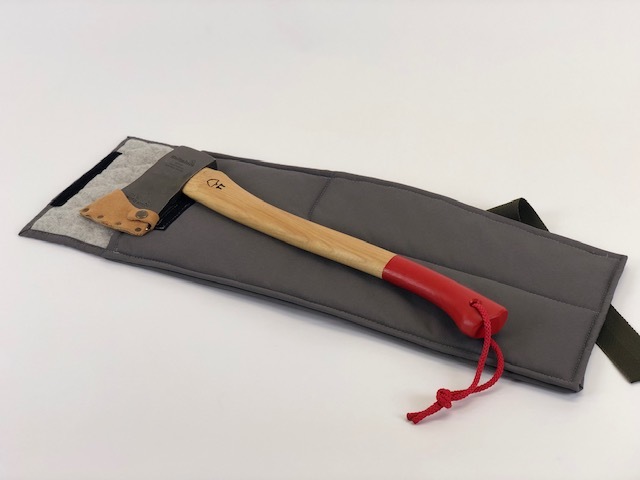 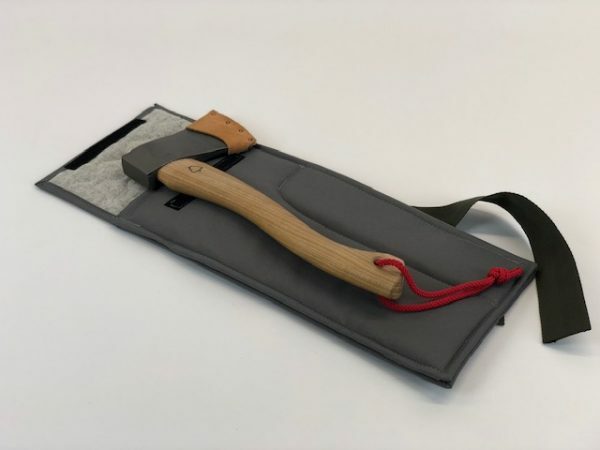 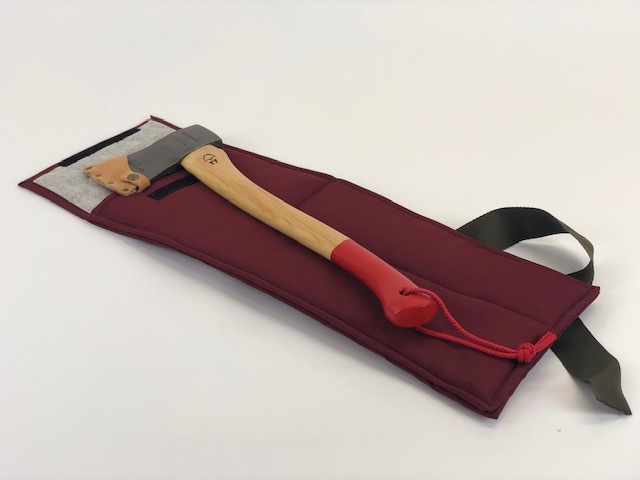 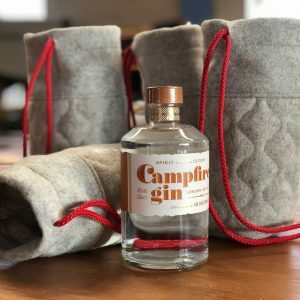 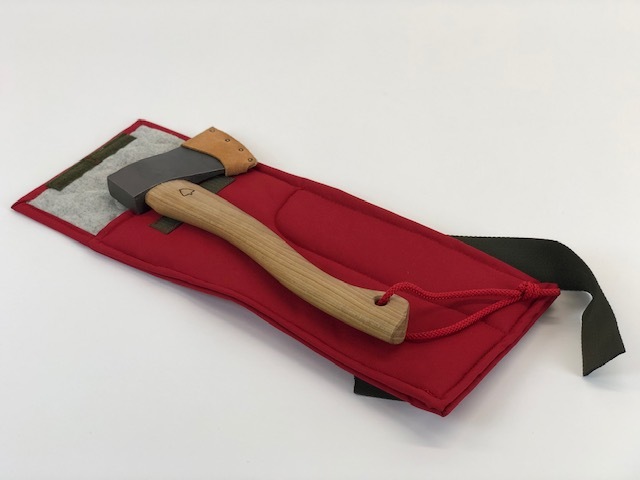 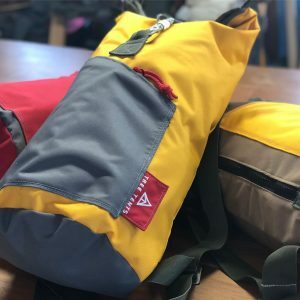 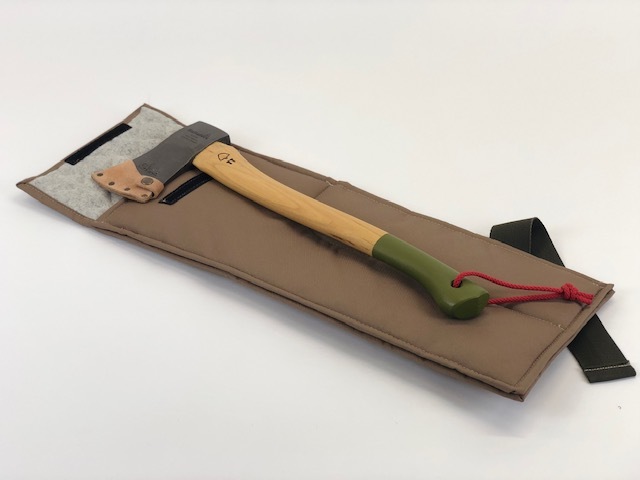 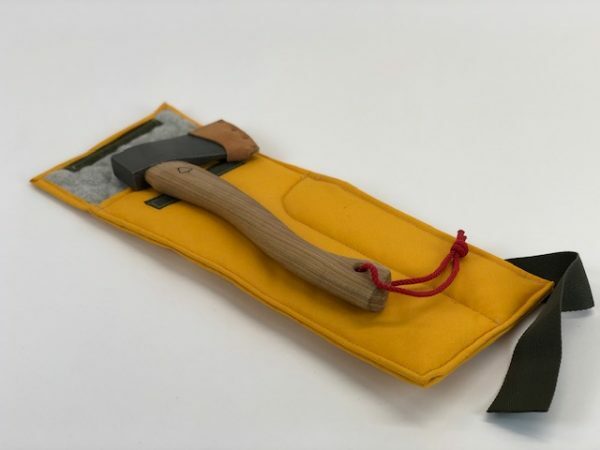 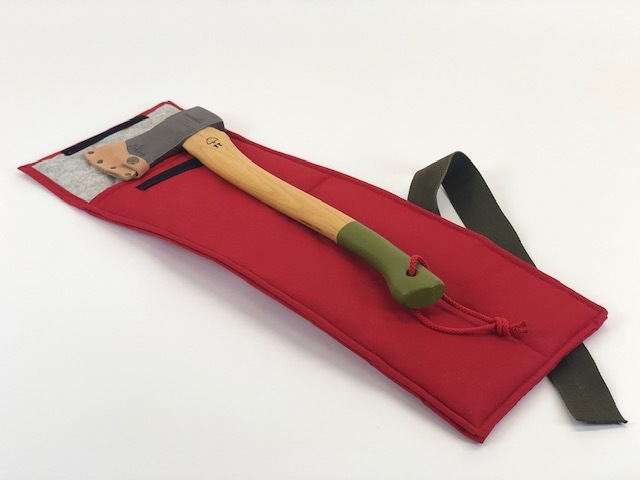 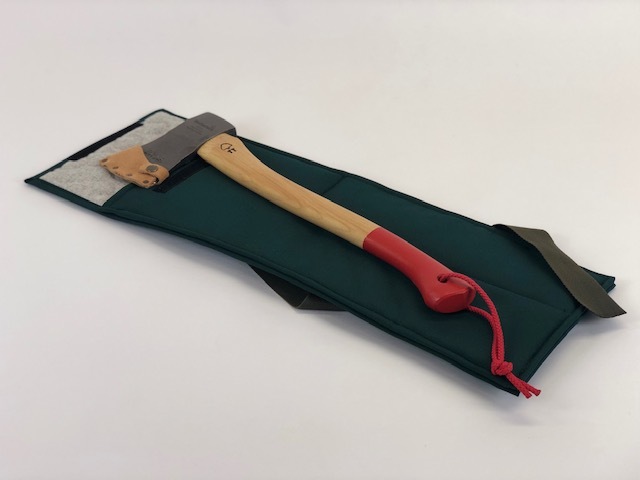 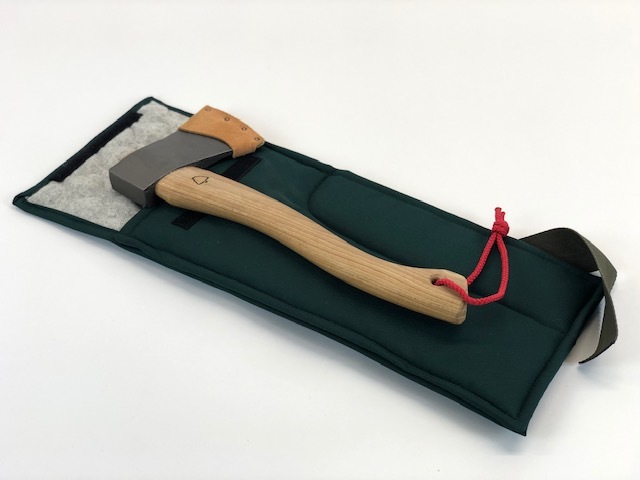 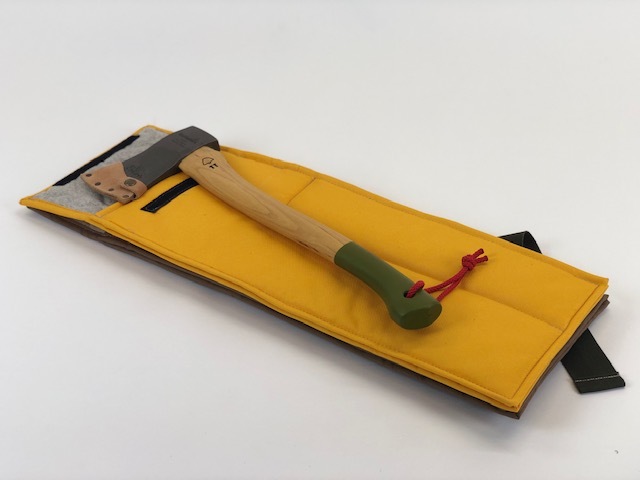 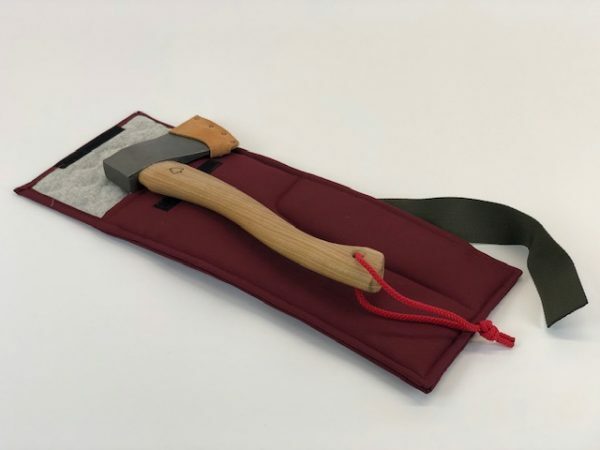 A perfect accompaniment to one of our Camp Axes, our Axe Bags are made from our durable and waterproof Tree Tent cover material and lined in a padded, 100% Melton Wool fabric. 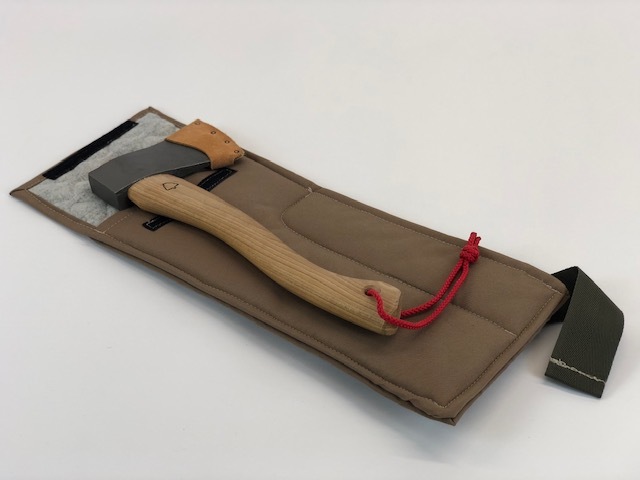 Featuring an adjustable carry strap and small accessory pocket for matches, lighter, sharpening tools and kindling. 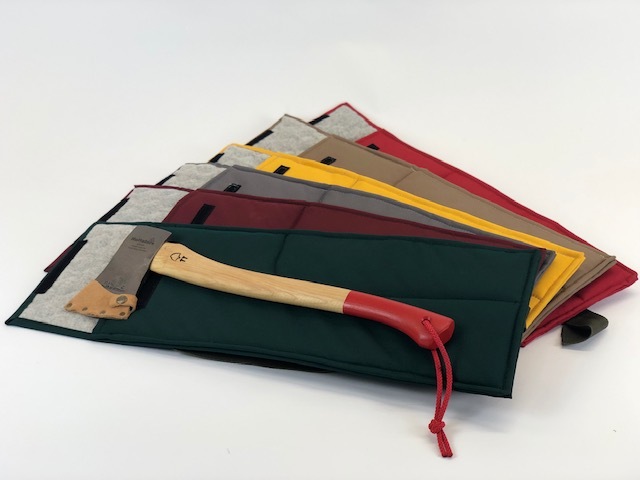 Sewn on our trusty industrial machine in the workshop and available in a range of colours and two sizes to match our Camp Axe or Camp Hatchet. 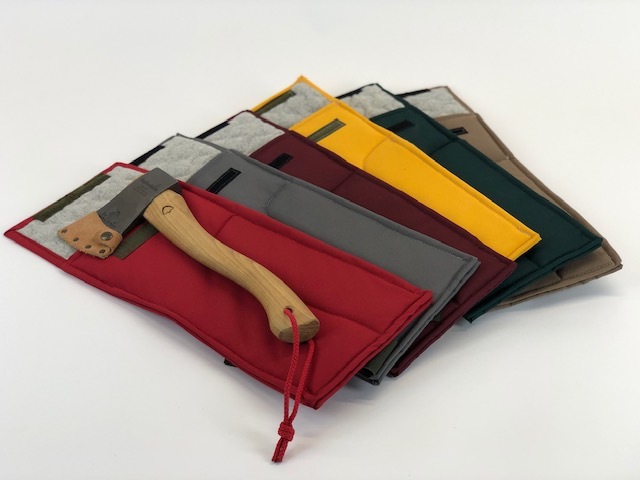 Materials : Uk Melton Wool +235g/m2 Polyester Dtex Fabric with PU waterproof coating.